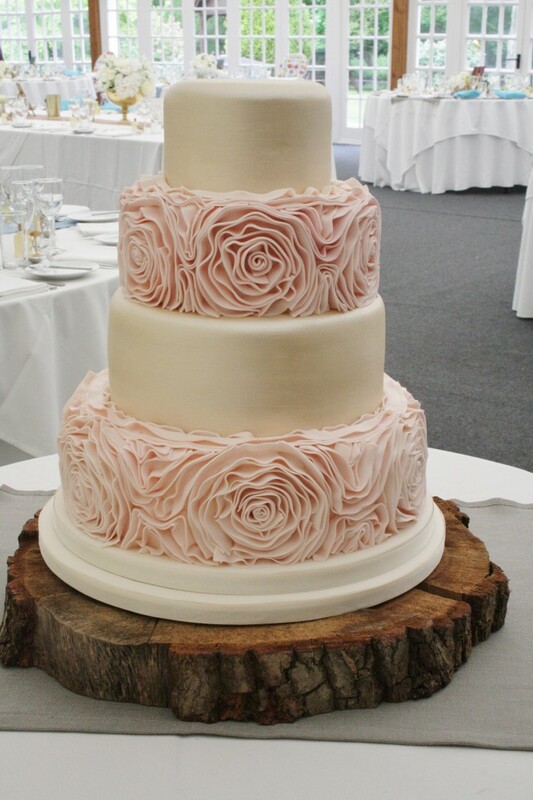 Four Tier Wedding Cake at Broyle Place, Ringmer, Lewes, East Sussex. 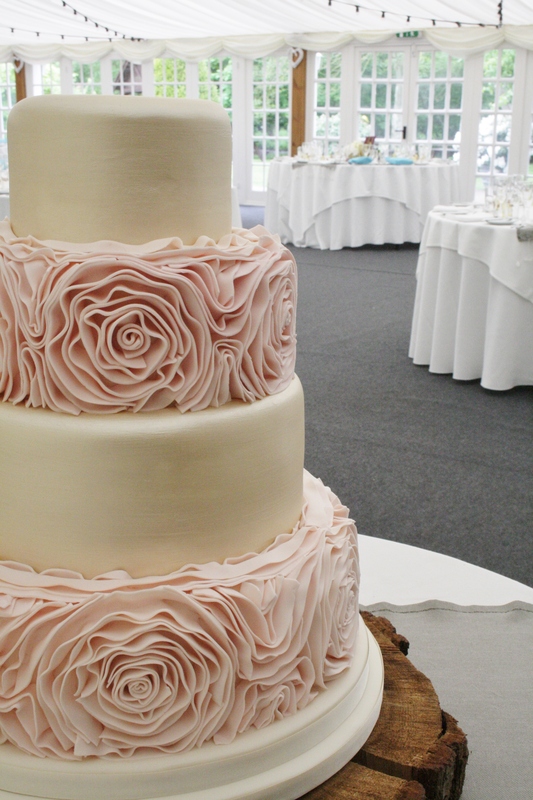 Base and Tier Two finished with blush pink sugar ruffles, Tiers 1 and 3 finished in a soft gold metallic lustre. Base Tier of Vanilla Sponge with Madagascan Vanilla Bean Paste whipped Buttercream and Raspberry Conserve, Tier 1 of Belgian Couverture Chocolate and Kirsch Sponge with Belgian Couverture Chocolate whipped Ganache and Black Cherry Conserve, Tier 2 of fresh Lemon Zest Sponge with whipped Lemoncurd Buttercream and Tier 3 of moist Rich Fruit Cake. Cake serves 160 finger portions.